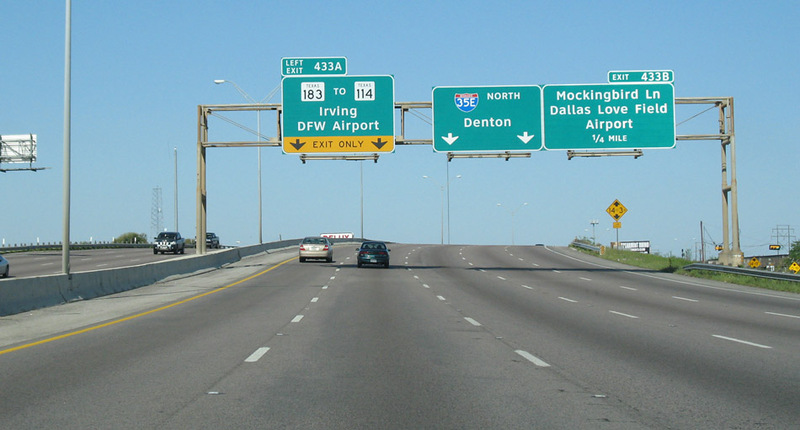 These views start on I-35E in Dallas and proceed westbound to Texas Stadium in Irving. 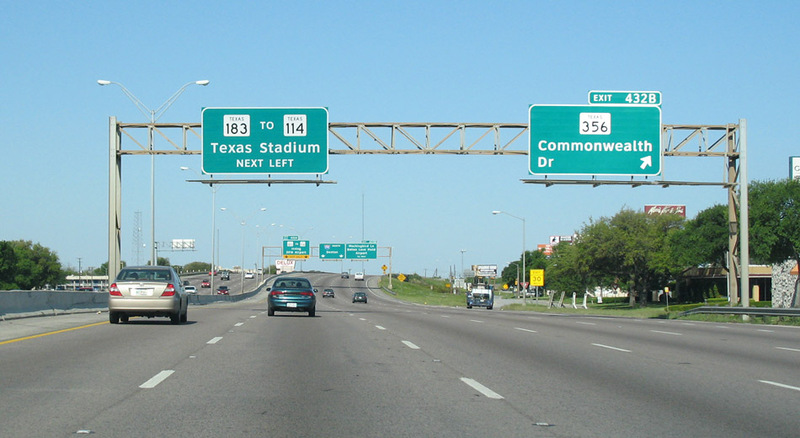 Texas Stadium was demolished in April 2010, so all the photos including Texas Stadium are now historical archive photos. 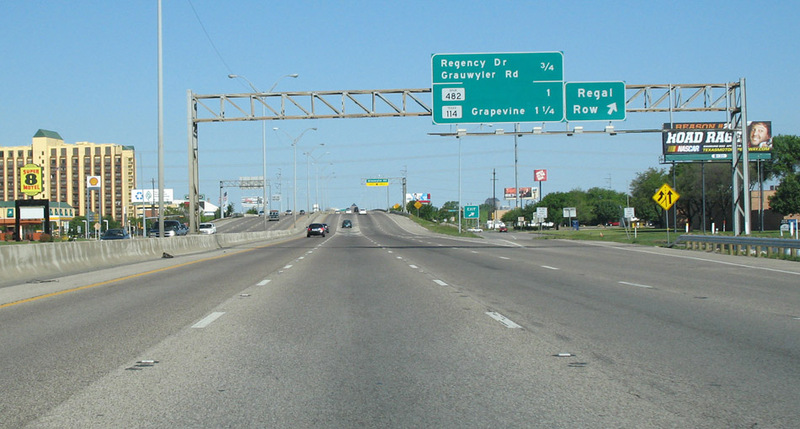 Major expansion of the freeway from Regal Row westward to the Texas Stadium site was completed in 2018, so all photos showing the original freeway are for historical reference. Click on individual images to expand and collapse thumbnails. Captions and photo dates are shown with full size images. 2018 Photo status: Obsolete New bridges were built on both sides of the freeway, completed in 2018. 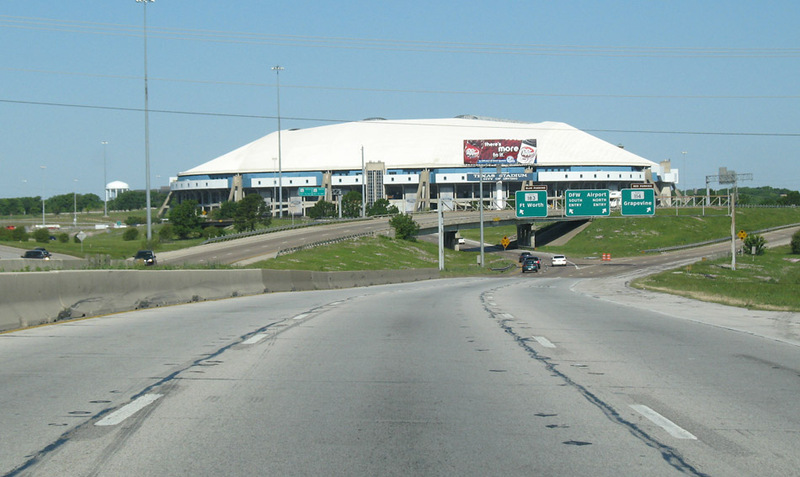 Texas Stadium was demolished in 2010. 2018 Photo status: Obsolete The freeway ahead was expanded and reconfigured, completed in 2018. 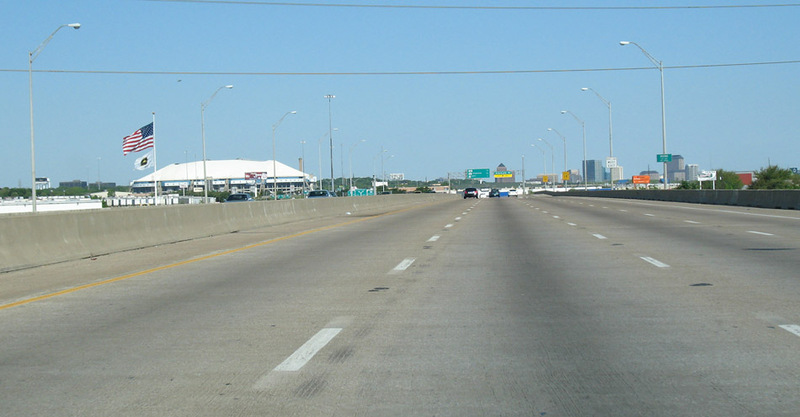 All properties on the right (north) side of the freeway were cleared for the expansion. 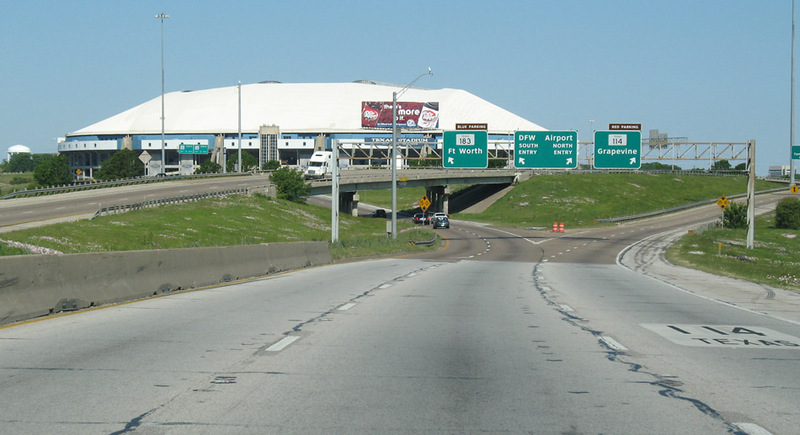 Texas Stadium was demolished in 2010. 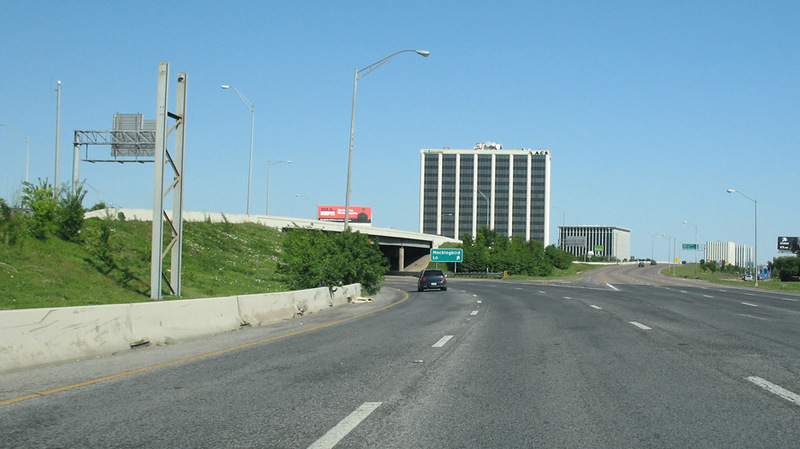 2018 Photo status: Obsolete The freeway ahead was expanded and reconfigured, completed in 2018. 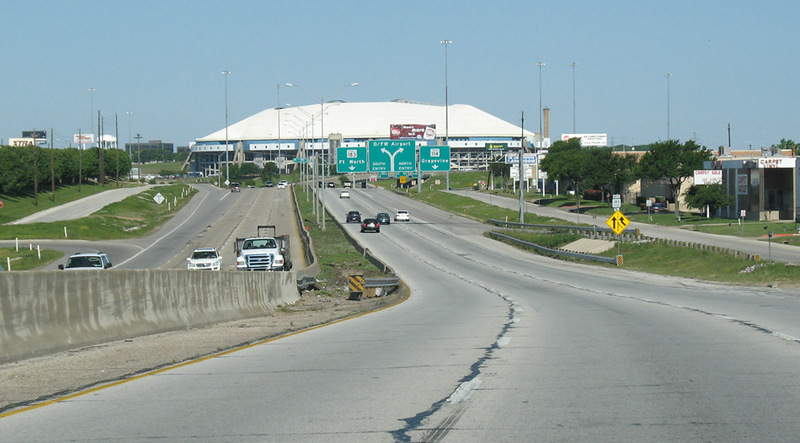 Texas Stadium was demolished in 2010. 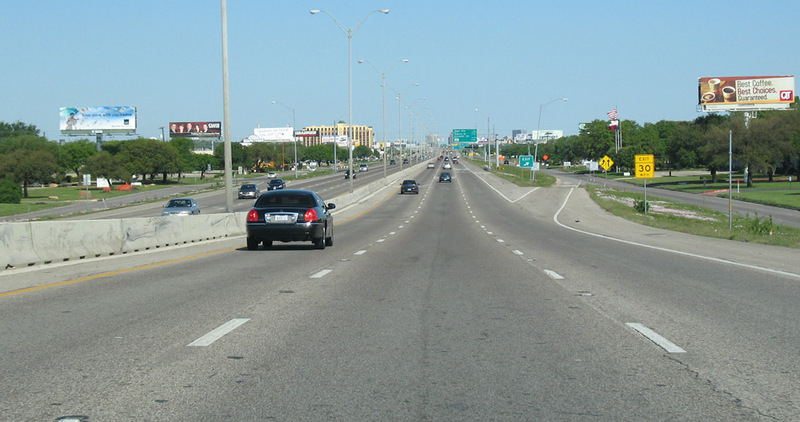 All properties on the right (north) side of the freeway were cleared for the expansion. 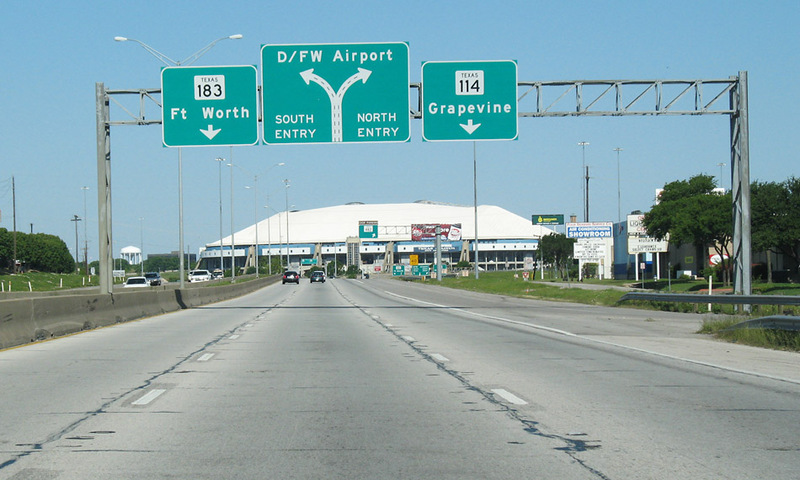 2018 Photo status: Obsolete Texas Stadium was demolished in 2010, and expansion of this section of SH 183 completed in 2018.